I love it when a company’s story and mission is as amazing as the products it represents. 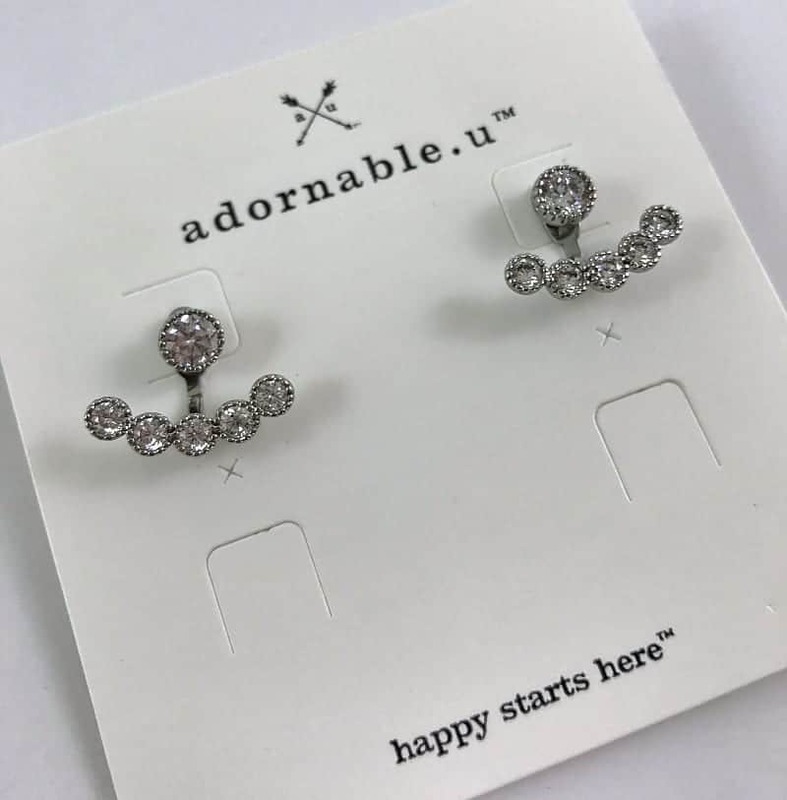 That is what made me first fall in love with adornable.u – a ground floor jewelry and accessories company out of Southlake, Texas. I connected with Independent adornable.u Consultant Valerie Butts through our Divas community, and was delighted when she chose to be a part of this year’s Christmas in July Event! I have loved everything I have seen from adornable.u and what Valerie sent in only strengthened that love! At adornable.uTM we believe in the promise of new beginnings. In life we are sometimes pulled back before being launched forward on our next great adventure. To enjoy the journey with a happy and grateful heart is what our brand is all about. The joy and appreciation of relationships guides our progress. The crossed arrows of our logo represent the inspiration shared with friends made along the way. Independent adornable.u Consultant Valerie Butts sent in their new Carousel Earrings for inclusion in this year’s Christmas in July Event. These delicate but sturdy crystal stud earrings with removable earring jackets, featuring a row of crystals that hang just below your ear. You can choose to wear just the crystal studs alone or pair with the jackets for a unique, sophisticated look. They are lightweight so you can wear them all day and into the night. they give off just enough sparkle that you can wear them with your favorite little black dress or even dress them down with your favorite jeans. The adornable.u catalog is filled with page after page of beautiful, unique jewelry for every style. Every piece is super affordable and would fit into anyone’s wardrobe and budget. Their philosophy to “Pursue Your Happy” shows through with every one of their versatile, stylish pieces. I had to wrangle these earrings from my daughter who wants a pair of her own! These earrings are perfect for women and girls of all ages and perfect for anyone on your shopping list – including you! You can earn free and discounted products by hosting a party or join Valerie’s team to build a business with this ground floor opportunity!